You know that electrode is the main element which helps in providing current flow. Actually, it is an electrical conductor has the capability to blend with non-metallic things. So for the correct current flow, all the electrical circuits must install with proper electrode element. 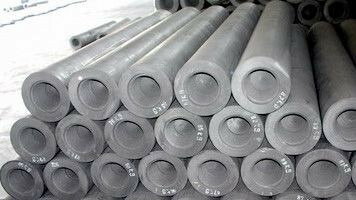 Graphite electrode is also used to refine steel in ladle furnaces and in other smelting processes. For arc furnaces and various other purposes, you need high quality material to keep them working continue and without worrying about anything. Choosing the best quality graphite electrode is one o them that you can get directly from the top graphite electrode manufacturer or a reputed graphite electrode supplier. What Is Graphite Electrodes Used For? According to the top graphite electrode manufacturers, they are taken into use to carry the electricity that melts scrap iron and steel, and sometimes direct-reduced iron (DRI), in electric arc furnaces. They are the vast majority of steel furnaces; while they are made from petroleum coke after it is mixed with coal tar pitch. There are various other uses of graphite electrodes that you will get after purchasing and knowing from the top manufacturers. Being an electric conductor, it is useful for various applications that include arc lamp electrodes; while it can conduct electricity for the reason of vast electron localization within the carbon layers. These valence electrons are free to move; in this way, they are able to conduct electricity. In addition to this, they are also divided into 4 types that include RP Graphite electrodes, HP Graphite electrodes, SHP Graphite electrodes, UHP Graphite electrodes.